Patrick Kos from Holland is a European track sensation who enriches the Connecticut Nor’Easters with 17 years of high level experience and speed. Kos is famous for Stayer racing across the world, an event where riders stay in the draft of a motorcycle at over 50 miles per hour. His smooth yet powerful ability has earned him 9 National Dutch Track titles, 2 European Championship titles, and numerous other international track victories. 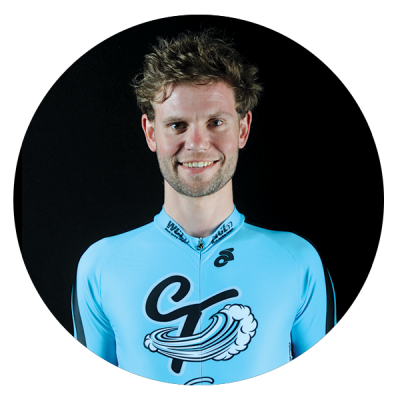 No stranger to scorching velocity, Patrick Kos also adds charm and personality to his legs of steel that will help him lead his CT endurance squad to the top of the World Cycling League.